More Las Vegas, the world’s first blockchain based night club, today announced that it is accepting Binance coin (BNB) for all club services. Visitors to the club may reserve tables, bottle service, the premium patio experience and even celebrity meet and greets using BNB effective immediately. Customers using Binance coin will receive a 20% discount on all club services and a 10% rebate on their bill paid in the clubs own MORE Coin. “We accepted CZ’s Twitter challenge to integrate BNB into real world use cases. There is no other hospitality experience anywhere in the world that delivers the MORE level of excellence. We are confident BNB users will become frequent MORE visitors,” added Shawn Chester, President of MORE Management. MORE is part of Hyde Bellagio, inside of the world-famous Bellagio Hotel and Casino. Hyde Bellagio is the first nightlife venture in Las Vegas by renowned hospitality leader sbe®. Ranking in the Top 10 of Nightclub & Bar Magazine’s coveted Top 100 list, the venue boasts a seamless indoor/outdoor space, floor-to-ceiling windows and an expansive terrace showcasing Las Vegas’ most-celebrated landmark, The Fountains of Bellagio. This content is sponsored and should be regarded as promotional material. The Daily Hodl is not a subsidiary of or owned by any ICOs, blockchain startups or companies that advertise on our platform. Investors should do their due diligence before making any high-risk investments in any ICOs, blockchain startups or cryptocurrencies. Please be advised that your investments are at your own risk, and any losses you may incur are your responsibility. 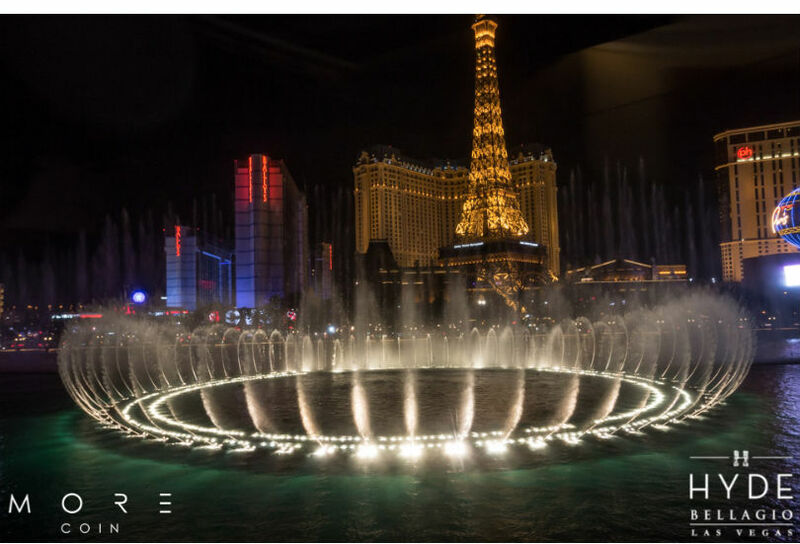 The post More Las Vegas Now Accepts Binance Coin appeared first on The Daily Hodl. Previous: Previous post: Last Chance to Board the 10K BTC Train! Ready Why!